7 in 1 Catalog Slider Magento 2 extension helps to add Featured, Best deals, Bestsellers, Last ordered, Most viewed, New, Promotional & All products to your store. 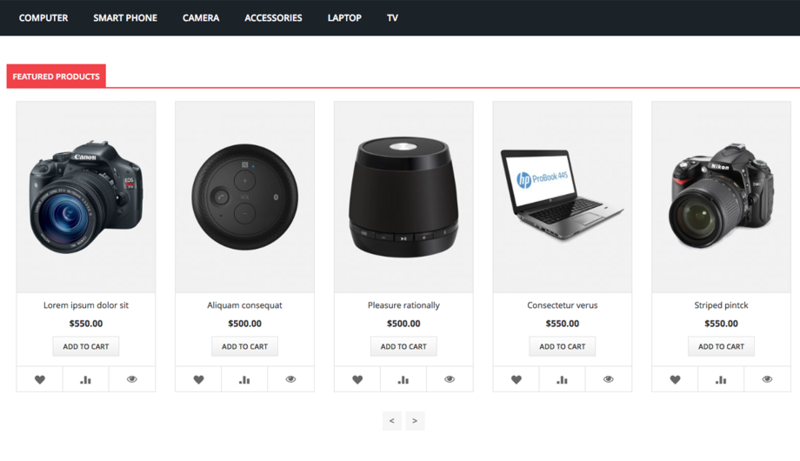 Using this extension you can display all these types of the products on the home page or any cms pages of your website. With 7 in 1 Catalog Slider extension, admin can display these types of products in home page as a slider with navigation arrow. 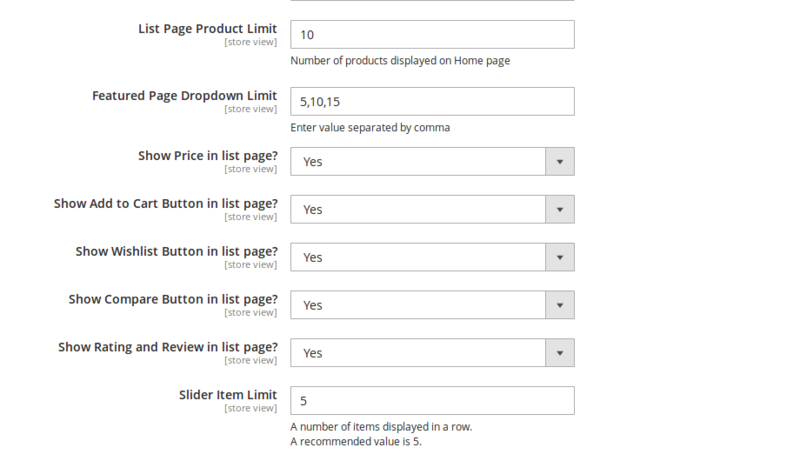 Also, set a product limit for home page products. 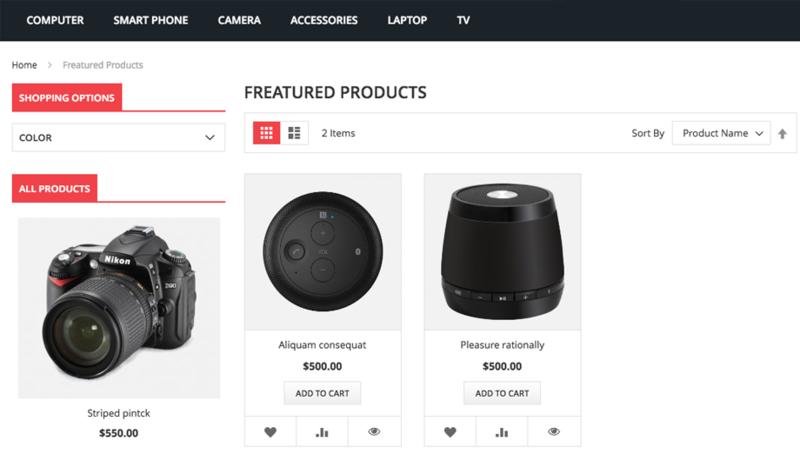 The customer can add this product directly to cart, wishlist or compare from any type of products block on the homepage. 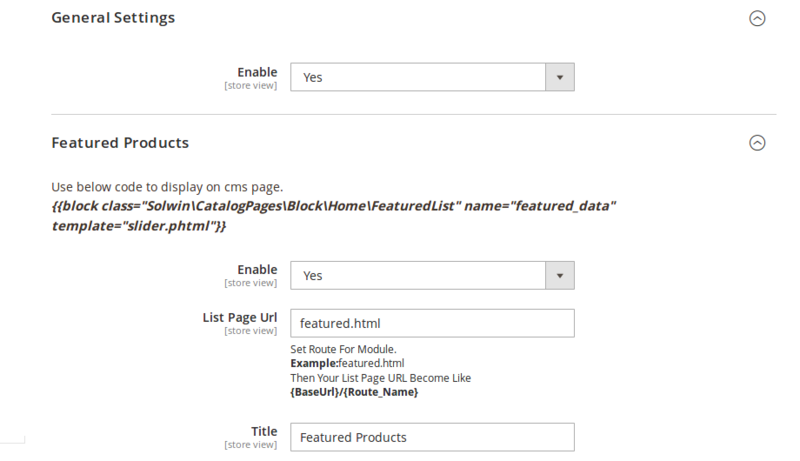 Admin can enable/disable any product block title and also set a custom title from admin. 1. As a stand-alone Magento page. 2. As widget-like block that can be inserted anywhere (homepage or any cms pages). This block will display all the products that were set as featured products by store owner. This block will display all the products which are currently under special price. This block will display all the best sellers products in slider view. This block will list all the products that were ordered last on the store. This options will display all the products that were most viewed by the customers. This block will showcase recently added products to engage more customers. Display the promotional products enabled from product management. Using this options, store owner can display all the products without any filter. This extension helps to increase store usability with multiple blocks presentation. Fully compatible with Owl carousel and contains multiple options. This extension helps to drive visitors attention and will increase sell. It will provide stand alone page for all the product category. 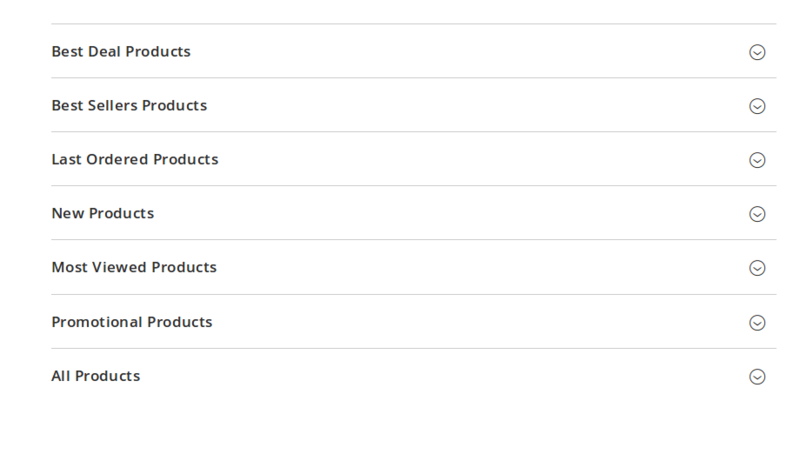 This extension comes with slider settings for all the 7 product blocks. 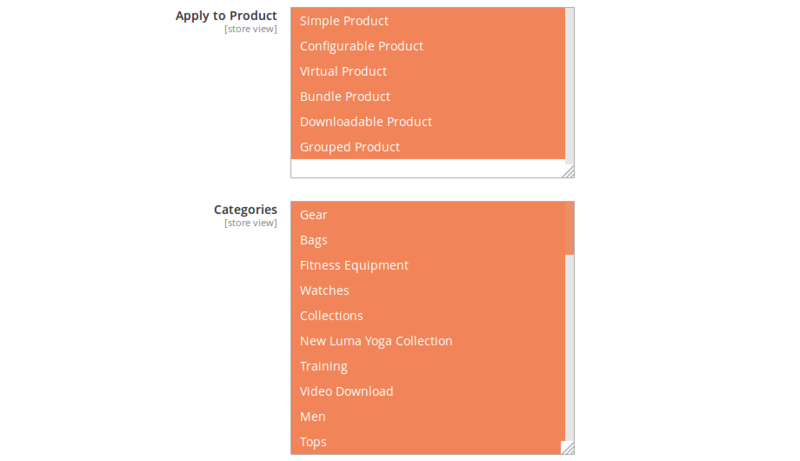 This extension provides option to set limit for display product on the home page as slider. I recommend this extension, I’ts exactly as described and easy to install. Now my website is complete with multiple extensions from Solwin. Thank you very much for this 7 in 1 extensions. Download the 7 in 1 Catalog Slider extension .ZIP file from solwininfotech.com using your Solwin Infotech website account. If you are using Magento 2.0.x then you need to extract solwin-catalogpages-m2-2.0.x.zip file. If you are using Magento 2.1.x then you need to extract solwin-catalogpages-m2-2.1.x.zip file. If you are using Magento 2.2.x then you need to extract solwin-catalogpages-m2-2.2.x.zip file. If you are using Magento 2.3.x then you need to extract solwin-catalogpages-m2-2.3.x.zip file. If you are using Magento 2.1.x then you need to extract solwin-catalogpages-m2-EE-2.1.x.zip file. If you are using Magento 2.2.x then you need to extract solwin-catalogpages-m2-EE-2.2.x.zip file. Now, you can see the Solwin menu in admin panel. Please go to Solwin -> 7 in 1 Catalog Slider -> Configuration and select Enable to Yes. 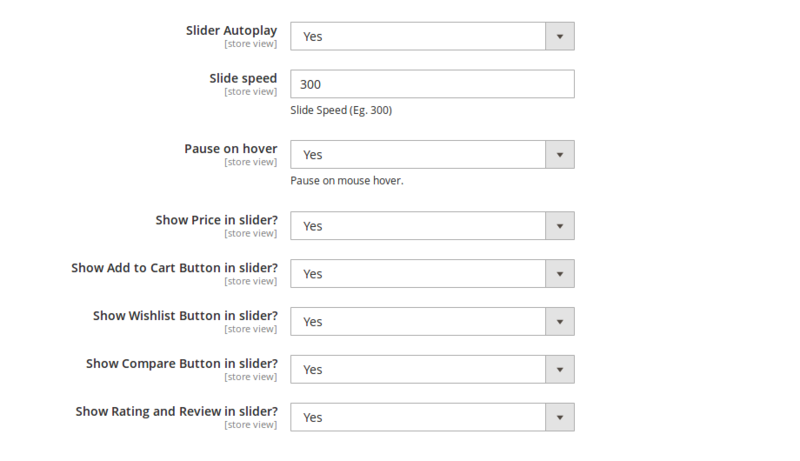 AddedMoe settings of the slider like set speed, set product limit, slider autoplay, slider stop on hover etc.